You can open a PDF on any computer or mobile device, regardless of the hardware or operating system you use. In fact, most PCs nowadays come with a pre-installed PDF reader app that can open PDF files. The main pitfall associated with the PDF is that the format is difficult to edit, unlike a Microsoft Word file, for instance. Editing an MS Word file seems like a walk in the park. PDF? Not as easy. 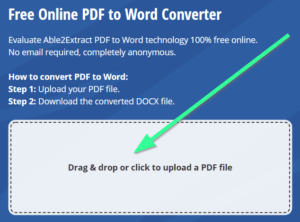 Knowing how to convert PDF to Word and vice-versa could come in handy one day. 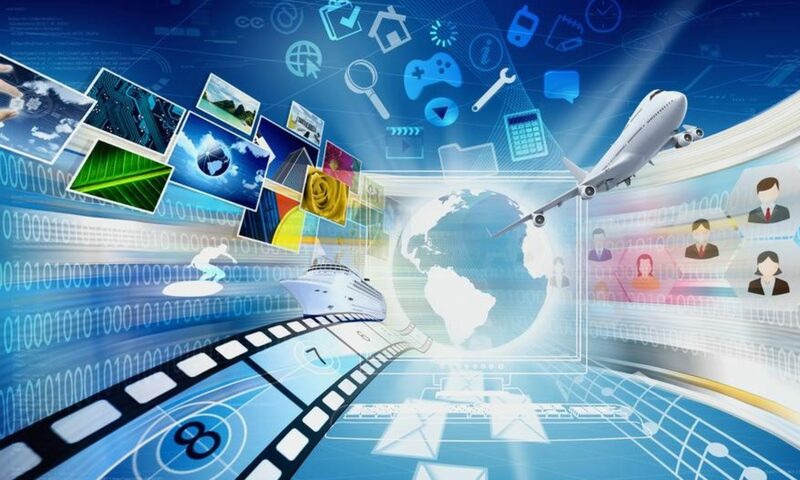 I will show you how to get the job done in the fastest way possible using some free online conversion tools. 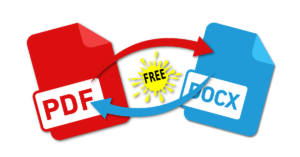 The easiest way to go from PDF to Word is to use a tool such as the Free Online PDF to Word Converter. The tool is 100% free to use and anonymous. You don’t have to input your email address to use the converter, and your files are deleted from the servers within a few hours. You can convert unlimited files in here. Also, you can use the converter as often as you want. Drag and drop or click to upload the PDF in the highlighted area as seen in the screenshot. 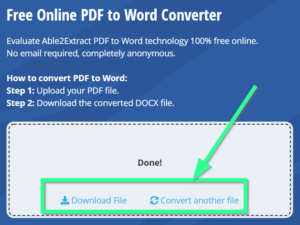 Once the file is uploaded, the tool will automatically convert PDF to Word. Download the Word file to your hard drive by clicking on the “Download File” button. *Alternatively, you can convert another PDF file. To do so, click on the “Convert another file” and repeat the steps. That’s it! 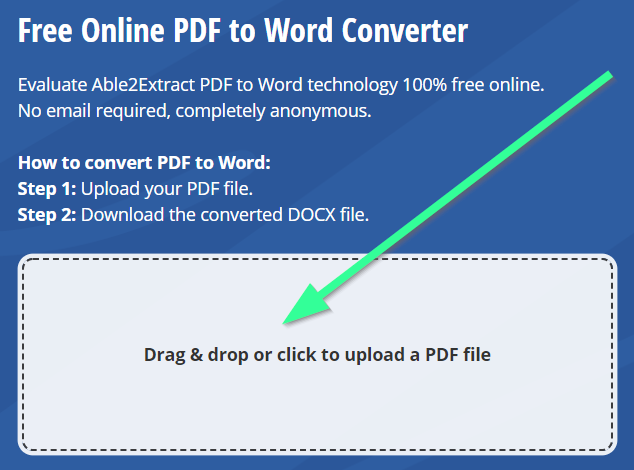 The free converter extracted PDF content into Word without messing up the original layout and formatting. Now, let’s take a look at how to do this in reverse – converting from Word to PDF. 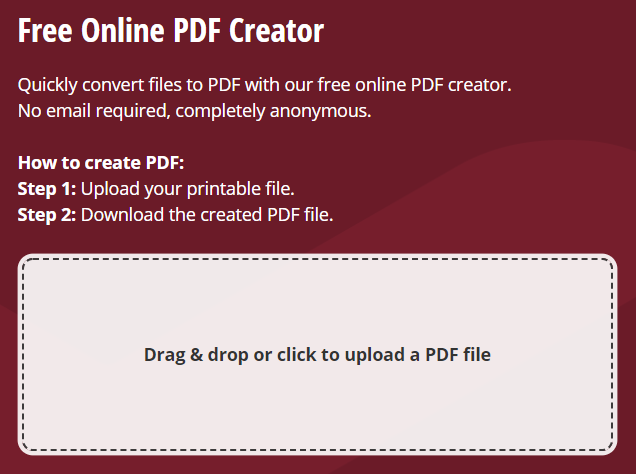 To convert Word to PDF, you can use the Free Online PDF creator. In fact, this tool allows you to convert not only Word to PDF, but Excel, PowerPoint, and 300+ other file formats, as well. Step1: Upload your Word file. 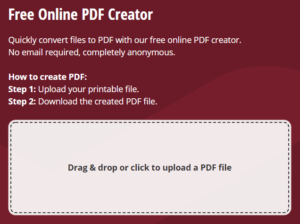 Step 2: Wait until the conversion is complete and download the created PDF to your computer or mobile device. My experience with the tools? Both tools are excellent and deliver good conversion results. I managed to convert differently sized PDF and Word files without any hiccups. Bear in mind that it may take a while to process larger files, but no real complaint there. After all, the tools are completely free. Final advice — bookmark these online utilities, they might come in handy the next time you find yourself up against a PDF or a Word file that requires extra work.